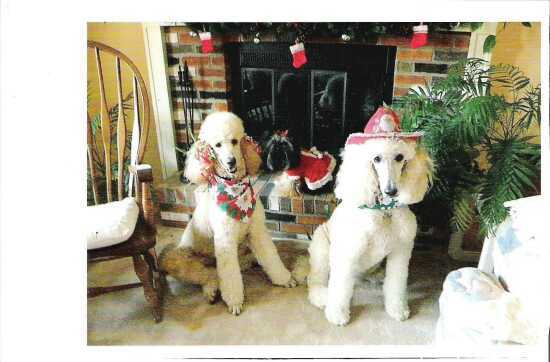 My three therapy dogs; Fancy, Gracie, & Toby Keith. Dressed up to visit local nursing home and hospital residents during the holiday season. What an adorable picture!! Cute dogs!! Great pic!